The origin of the SQUARE D name. In 1915, the Detroit Fuse and Manufacturing Company introduced a stamped steel version of its enclosed safety switch. Embossed on the switch cover was a square with a capital 'D' for Detroit. The safety switch became so popular that customers requested the 'Square D' safety switch. 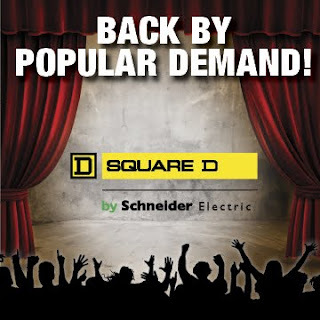 Two years later, the company, capitalizing on the market demand for this product, changed its name to Square D Company. Today, the SQUARE D brand name remains one of the few created by its customers. in 1991, Schneider Electric acquired Square D Company and added one of the most highly recognized and well-respected brands in the electrical industry to its portfolio.